Product prices and availability are accurate as of 2019-04-20 12:15:28 UTC and are subject to change. Any price and availability information displayed on http://www.amazon.com/ at the time of purchase will apply to the purchase of this product. Sidney Crosby: The Story of a Champion follows the young Cole Harbour hockey phenomenon through his early years in minor hockey, his dominating run through the Quebec Major Junior Hockey League, his record-breaking play with the Pittsburgh Penguins, and his spectacular contributions to Team Canada at international competitions.With color photographs of Crosby in action and featuring interviews from coaches, teammates, and hockey insiders like Pierre McGuire, this accessible, visual book is the account of a once-in-a-generation hockey talent and his path to greatness. 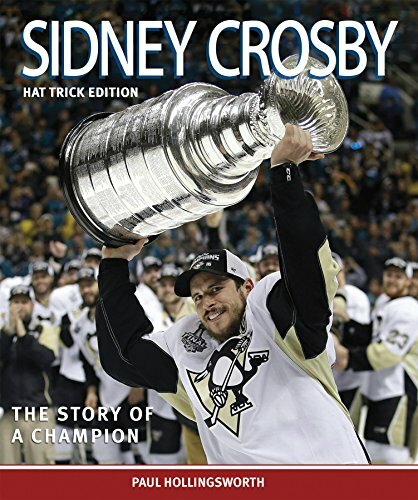 This new edition features updates and a new chapter and photos showcasing Crosby’s recent achievements.